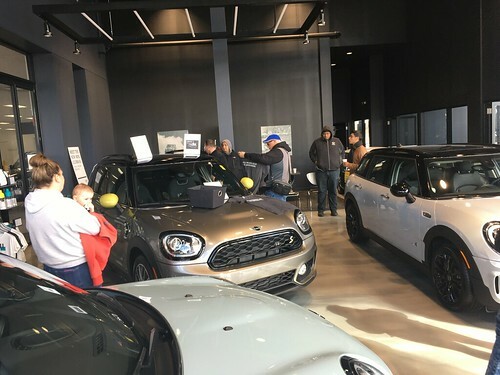 The Windy City BMW club has offered Chicago MINI Motoring Club members the chance to participate in their 18th annual Car Control Clinic on Saturday April 20th. This is a fantastic opportunity to safely explore and understand the limits of your car and have a bunch of fun while doing it. A perfect class for a younger person or someone who has not yet had a chance to feel anti-lock brakes, practice skid control and correction and emergency lane change maneuvers. The Windy City BMW club is waiving the BMWCCA membership restriction for CMMC club members. Cost is $60. Space is limited and fills up fast, so contact Randy at safetyschool@windycitybmw.com to secure your spot. Add a comment here so we know you are attending!! Our friends from Motorbooks have offered members of the Chicago MINI Motoring Club a fantastic group buy discount.. Check out their catalog of MINI books and send an e-mail to steve@chicagominiclub.com with the titles you are interested in..
We will be placing an order on March 15. This will be shipped to a single address, so we will work out details of getting the books to you after they are delivered. Bill Jacobs MINI has extended an exclusive invitation to the club for a breakfast preview of the new Paceman. And as a special treat afterwards we’ll have an opportunity to take our own MINIs out on their test track! So bring an appetite and your MINI for a morning of fun with Bill Jacobs MINI!